Don Knott, ASGCA Past President, is a native of Northern California. A multiple-sport athlete during his youth, Don eventually became a collegiate All-American swimmer. He received a Bachelor of Landscape Architecture degree (1969) from the University of California at Berkeley, graduating with highest honors while being awarded the Departmental Citation for excellence as the top graduate in his class. He also holds a Masters of Architecture degree (1973) from the same institution. Don's industry experience began in 1973, and for more than 25 years, he served as Senior Vice President of Design and lead project architect for the Robert Trent Jones II group. In 1999, Don formed Knott & Linn Golf Design with RTJ II partner and fellow ASGCA member Gary Linn. During his career, Don has personally designed, supervised and overseen the completion of more than 60 courses worldwide. Don is a licensed Landscape Architect and a long-standing ASGCA member, serving as president of the Society in 1994 and 1995. He was Chairman of the ASGCA Foundation for many years and is a tenured member of the environmental impact committee. 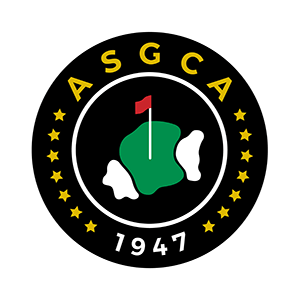 He has represented ASGCA at numerous national conferences on golf and the environment and has authored or co-authored many documents on golf and environmental issues. He has also been a speaker at numerous golf conferences including the ASGCA, USGA, NGF, GCSAA, USEPA and Public Golf Forums.